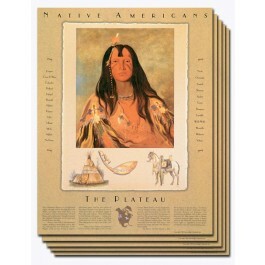 Give your students a better appreciation for Native American history and culture with this outstanding set. 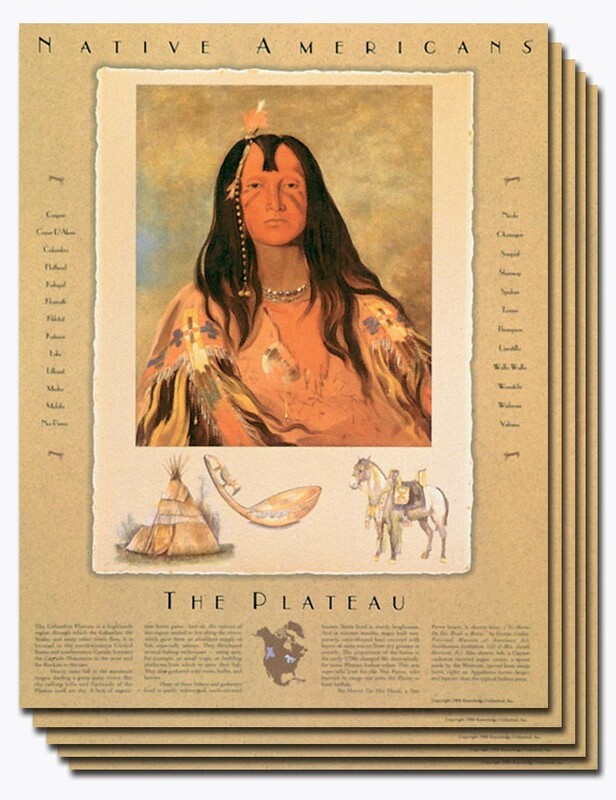 These beautiful posters use museum art and original watercolor paintings to present ten broad groupings of Native American tribes. Each poster features a striking portrait, sketches of a typical dwelling and artifacts, information about the group, and the names of tribal groups of that region. On heavy, coated stock.